Boxer Muhammad Ali made history on Saturday, September 15, 2018, after he became the first UK boxer with type 1 diabetes to fight professionally and defeat his opponent, Andrej Cepur, 40-36 on points after four rounds at Victoria Warehouse in Manchester, United Kingdom. It was a great beginning for the boxer as he spent nearly three years campaigning in order to prove to the British Boxing Board of Control (BBBC) that his diabetes would not affect him in the ring. Ali initially planned to turn professional in 2015, but BBBC’s rules at the time meant boxers with type 1 diabetes were unable to get a license. I have lived with diabetes for 20 years, and I believe because of this I can’t truly say anything is hard for me. Ali, who is 25, was finally granted his license during a meeting with the board on May 9, 2018, a credit to his team, including trainer, Alex Matvienko, endocrinologist, Dr Ian Gallen and manager, Asad Shamim. Together they provided key documentation proving that Ali’s diabetes would not disrupt his ability to box. 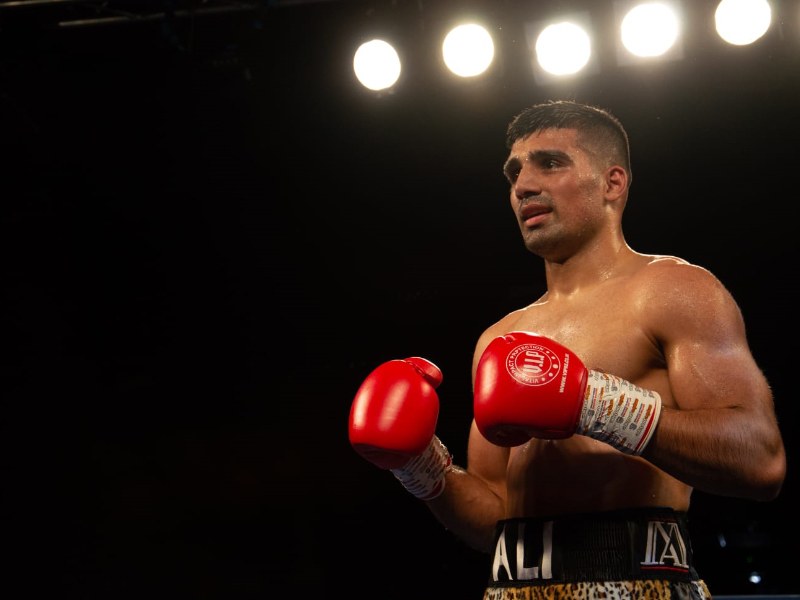 Earlier this month, Diabetes Voice got the chance to talk to Ali about life with type 1 diabetes, boxing and his battle to compete in the sport he loves. When you were diagnosed with diabetes? Can you discuss what happened, where you were diagnosed and if you spent time in the hospital? 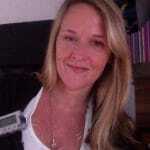 I was diagnosed with type 1 diabetes at age five in the UK. I was feeling weak and dehydrated using the toilet to urinate a lot due to my sugar levels being high. One day I suffered hyperglycaemia and the ambulance were phoned by my parents which resulted in me being taken to the hospital where I was told that I was diagnosed with diabetes. I was kept at the hospital by the doctors for a week or so and they did regular checks. The doctors educated my parents about diabetes and how to control my sugar levels like what foods would be best to consume. What kinds of diabetes tools do you use to manage type 1 diabetes? At this moment, I am using a Continuous Glucose Monitor (CGM) to manage my blood glucose levels. This has made it extremely easy for me to take control and manage diabetes when I am in the ring. I wear it 24/7. What kinds of foods do you rely on for training and diabetes? I eat fresh home cooked meals which I prepare myself. For example, I weigh my portions such as carbohydrates, protein and fats so I know exactly how much insulin I need to inject (syringe). An example of a typical dinner would be 200g chicken breast, 75g rice, 50g broccoli and 1 litre of water. When did you start boxing? Why? I started boxing at the age of 12. I have been taking part in sports since the age of five. For example, I have taken part in karate, football, cricket and rugby for regional clubs. In these sports when we were beaten I could blame other team members for losing! However, in boxing I cannot blame anybody for a loss except myself. I have always been competitive in all sports activities. Boxing was my most loved sport. I have great passion for boxing and I found my niche. I also hate being defeated! Boxing gives me an individual sense of control. When you are training, what is the hardest thing about living with type 1 diabetes and working out in the gym/ring? I have lived with diabetes for 20 years, and I believe because of this I can’t truly say anything is hard for me. Sometimes my glucose levels increase, and I check my levels quite often with my CGM. When it’s required, I take a correction dose to balance my glucose levels. I know how and when to control my diabetes which results in me living a healthy life. When you were told that you couldn’t get a license to be a boxer, what did you think and feel? What made you want to fight the decision? I was absolutely heart broken when I was told in 2015 that I couldn’t get a professional boxing license due to my type 1 diabetes. I felt discriminated and alienated! The reason I fought the decision was firstly because I am a healthy person living with diabetes which enables me to achieve my dreams. Secondly because I am a good boxer. Finally and most importantly, the British Boxing Board of Control was contravening the equality legislation. What specifically were the BBBC worried about? The Board previously rejected my license because they would not give licenses to people with type 1 or type 2 diabetes. They were worried about my health and not being able to take my blood glucose during a boxing match. Dr Ian Gallen, who worked with Olympic Champion, Steve Redgrave (who also lives with type 1 diabetes), joined our team and really helped. He gave us the CGM and the monitor proved that my blood glucose levels are stable during a sparring match. I had to show that I am a healthy diabetic with proof from my medical specialist. I also had to pass my annual boxing medical which consists of a brain scan and a full body check. A part of the problem concerning these “rules” was how the regulations were set up in very early years and the British Board was falling short of equality legislation which gives equal chance to everyone who wants to compete in sports like boxing. I was the first person to fight the regulation. Once they were challenged with a legal team who was persistent, they had no choice but to then re-review their regulations and make the change. Why not apply instead for a boxing license in a country like the USA where there are no rules against people with diabetes? It was important for me to represent Great Britain. I’m born and bred in Britain. I’ve got a British degree and paid my taxes in Britain. I should be able to represent my country. Have there been other forms of discrimination in your life with type 1 diabetes? Now that you have won the fight for your license, what are the next steps for you in terms of professional boxing? I hope to be challenging for world titles in the very near future. My aspiration is to become World Champion and follow the steps of the greatest boxer of all time, Muhammad Ali. What would you say to a person who was told that they couldn’t do something because they live with type 1 diabetes? I would tell them never give up! Diabetes is a condition, not an illness and it can be well managed. People need to educate themselves about diabetes and understand how to live a healthy life. Sometimes we have only ourselves to blame for not achieving our full potential. Surrounding yourself with positive people really makes a difference. Believe and achieve! Don’t give up on your dreams. Thank you, Ali, for sharing your story. Best wishes for great success! Ali will return on November 17 at Victoria Warehouse again for his next fight.